We were checking the dates on our gift cards for last week's Finance Fridays. This week we are looking at buying the freehold for properties. When we sold our first house we found out then it was actually leasehold.This came as quite a surprise as we had no idea for the four years that we had lived in the house. Thankfully the solicitor sorted it out for us and to this day I still do not know who owned the freehold and we certainly didn't pay any ground rent to anyone. At one time leasehold properties were once reserved for flats, and properties built on ducal and Crown estate land. Now it seems more and more new builds are being sold as leasehold and this is causing some problems. When you have a leasehold property you own the property but not the actual land that the property is built on. This is owned by the freeholder who will charge an annual ground rent to the leaseholder. The lease on the land will be set for an amount of time. Once it runs out and the lease hasn't been extended or bought out the property ownership will revert to the freeholder. This is why if you do buy a leasehold it is normally quite wise to buy one where the lease is at least 80 years or more. Ideally you should have a lease that outlives you. Often mortgage companies won't authorise mortgages on properties with short leases for fear of them being transferred to the freeholder before the mortgage is paid. You will also find that properties with short leases have a lower value to them as renewing or extending leases can be very expensive. Many new build properties are now being sold as leasehold as house builders are finding that selling the leases on is lucrative business. The freehold of a new build should be available to buy for around 30 times the annual ground rent. However, due to the other expenses involved in buying a house many people opt not to buy it straight away. If this is the case the housebuilder can then sell the management of the lease to another company. 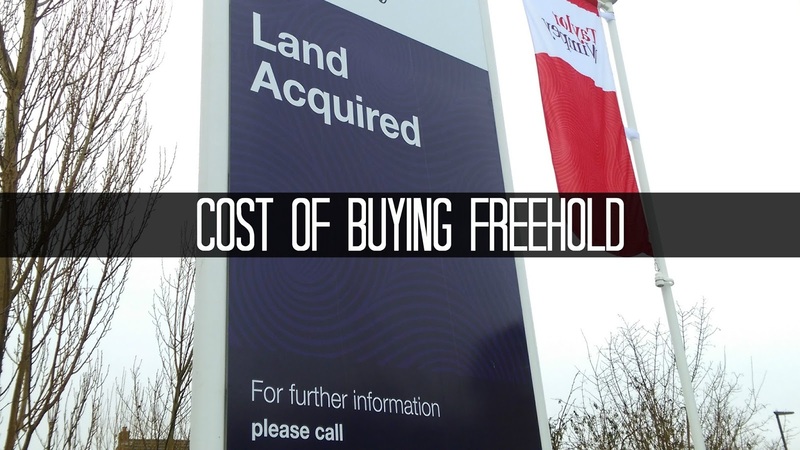 Recently there has been reports of such companies upping the cost of the freehold by as much as 89 times the annual ground rent. They can also charge their own fees for property repairs, buildings insurance and service fees such as communal lighting and cleaning. After two years a leaseholder can apply to buy the freehold but it could cost far more than when it was originally available. If you are unhappy with any aspect of your lease then you can take your case to tribunal. Be aware though that you will need to pay legal fees plus valuation fees for the property. If you want to buy the freehold ask your mortgage provider if you can add it on to the amount you have already borrowed. They will assess if you are a good customer (basically if you have paid all your repayments to date on time) and if you can pay the higher monthly cost. You may be able to extend the term of the mortgage to lower the monthly cost. Have you lived in a leasehold property? Did you have any problems with the lease? If you want to join in with this week's Finance Fridays then add your link to the linky below. Any post concerning financial matters is allowed. Full details here. It doesn't have to be published today as you have until 23.55 on Tuesday 7th February 2017 to join in. We bought our freehold some years ago when we were living in a flat and it was one of the best decisions we made. Your advice is right on the money! I have bookmarked this for future reference. We are not in this situation but its certainly worth knowing. Gosh - hearing all about leasehold and freehold takes me back to the days where we bought our house. All that jargon and contractual language! Our last place was a leasehold and I've heard lots of horror stories about leaseholders really taking the mick, very glad we have a freehold this time around!